Chelsea v Man City preview: Can the Blues stop Pep Guardiola’s winning machine? 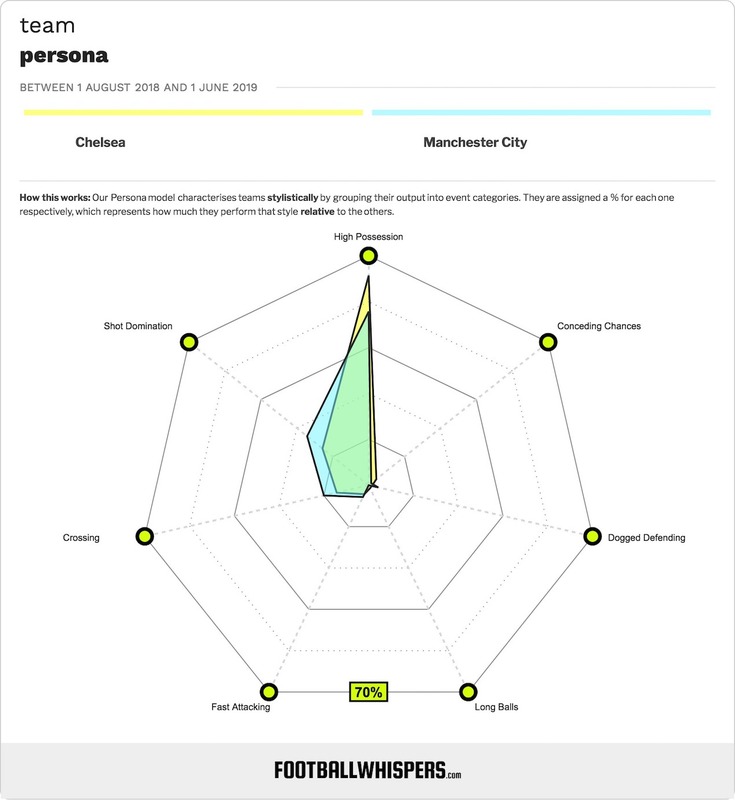 Pep Guardiola’s Manchester City winning machine is showing no signs of slowing down, with the reigning Premier League champions customarily top of the pile and unbeaten domestically thus far in 2018/19. City face one of their sternest tests of the campaign on Saturday afternoon, though, travelling to west London to take on Maurizio Sarri’s new-look Chelsea. However, Guardiola’s side find the Blues in a difficult period, having lost two of their last three league fixtures. Can Chelsea get their season back on track with a morale-boosting result against City, or will the champions claim yet another victim at Stamford Bridge? Here’s our preview of the weekend’s standout match. Chelsea couldn’t have hoped for a better start to life under Sarri. It was expected that the Italian’s unique tactical instructions would take time to be fully digested and properly interpreted at Stamford Bridge, but they began the campaign by going 18 games unbeaten in all competitions. That stretch included victories over Arsenal and Liverpool – the latter in the Carabao Cup – and respectable draws with the Reds (in the Premier League this time) and Manchester United. Now, though, Sarri faces his first period of adversity as Blues boss. Defeat to Tottenham Hotspur in late November snapped Chelsea’s unbeaten run, and a midweek loss to Wolverhampton Wanderers last time out means the Londoners now have just one win from their last four Premier League games. It’s been plain sailing right from the off for City. They opened their 2018/19 campaign with a resounding 2-0 victory away to Arsenal and haven’t looked back since. Four points shy of a maximum total after 15 games, only Liverpool and Chelsea’s most recent conquerors Wolves have been able to prevent City winning in the Premier League so far this season. There has been some criticism of Sarri’s tactics of late, due largely to Chelsea’s recent defeats. The former Napoli boss is dogmatic about his use of 4-3-3 and works meticulously on the training pitch to ensure his charges undertake his instructions to the letter, schooling them in his unique “positional play” model. Some observers believe Sarri must rethink his tactical approach and bend to the perceived demands of the Premier League. His use of N’Golo Kante, arguably the best pure defensive midfielder in the world, in a box-to-box role has caused consternation. But Kante cannot do what Jorginho does in the deepest midfield role, conducting play, setting the tempo and orchestrating attacks from the base of the middle third. Don’t expect any compromises from Sarri any time soon. And Sarri can take heart from how Guardiola stuck to his guns through an imperfect first Premier League season. The Catalan tactician espouses a style of passing and movement not dissimilar in shape and execution to Sarri, and has revolutionised the division, setting records and dropping jaws with some of the most spectacular attacking football seen on these shores. Eden Hazard, Chelsea – The Belgian magician made a blistering start to the season, scoring eight goals in his first nine appearances, leading to Sarri labelling him the best player in Europe. However, Hazard has now not found the net since October 7, with just three assists since then. There are few players in the world who can match Hazard for raw talent, but his application is too often questionable. The Blues will need him to show up against City. Raheem Sterling, Manchester City – With eight goals and six assists to his name, no player has been directly involved in as many Premier League goals this season as Raheem Sterling. Whether operating from the left or right flank, the England star has consistently proven his ability to find and create scoring chances at a remarkable rate. 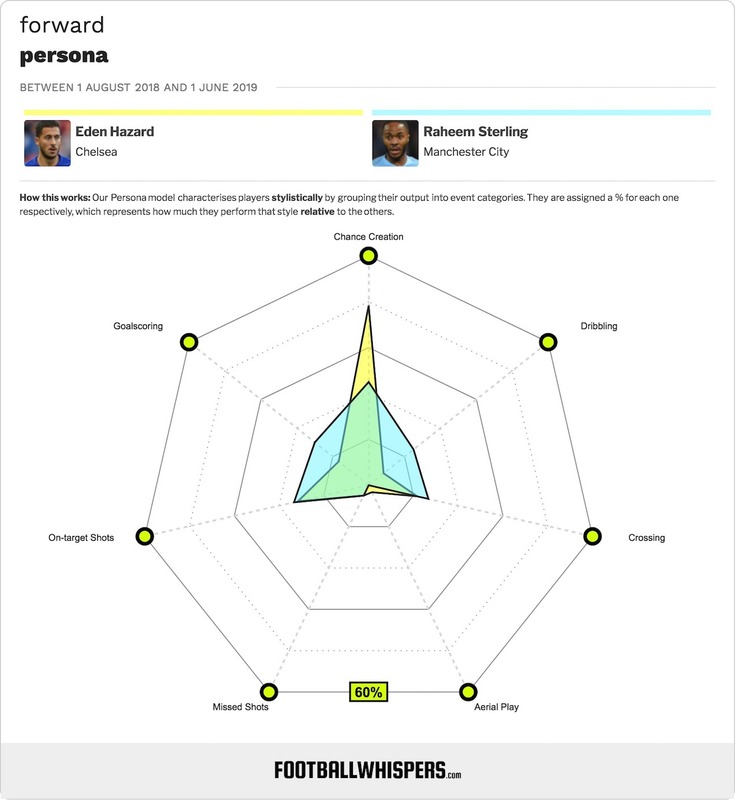 If the season ended now, it’d be hard to see past Sterling as Player of the Year.